← Could barbecues help fight climate change? What are Green Solutions about? Green Solutions are the procedures, technologies, methods, and practices used by businesses and organizations to abate or resolve problems that are causing degradation of theEarth‘senvironment, ecosystem, or natural resources. Example of green solutions are green projects, green technologies and production of Green energy like Biosphere Technology. 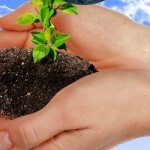 Green solutions are the responses to increasing problems on environment due to human activities. These green solutions may also relate to actions or initiatives of individuals and businesses in mitigating the increasing environmental problems. This entry was posted in Advices and tagged green solutions. Bookmark the permalink.